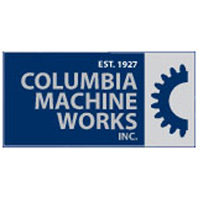 Founded in 1927, Columbia Machine Works has served the Steel Industry with our unique design and manufacturing capabilities. Located in the heart of Middle Tennessee, we have provided our customers with services ranging from short run product production to complete equipment rebuilds and turn-key project management. Our staff of Engineers, Fabricators, Machinists and Field Service Technicians, combined with our state-of-the-art facility, equipment and processes, give us an edge over our competition. Our team of Project Managers, Engineers and Technicians work directly with the end user to provide you with services and products you can trust. If you have a specific need, we can design a solution!